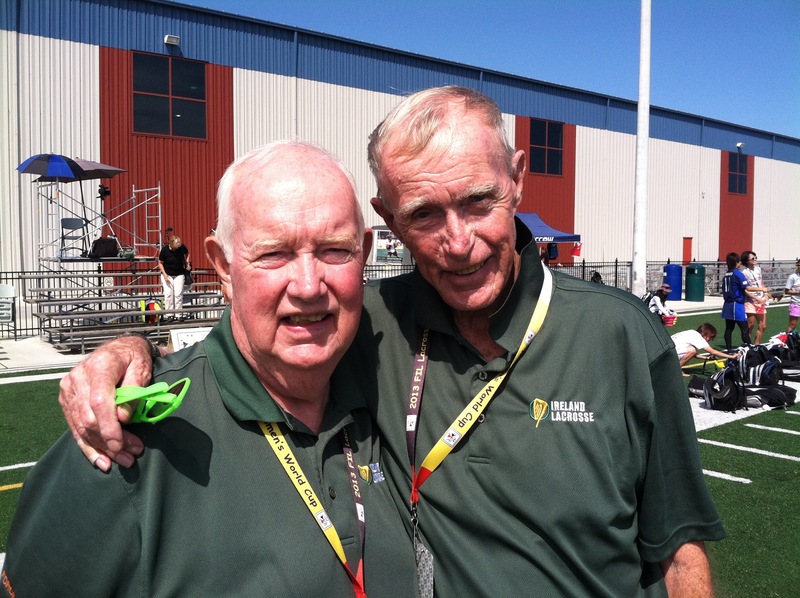 Ireland Lacrosse is sad to report the passing of Jimmy Carroll, after a long and protracted battle with cancer. 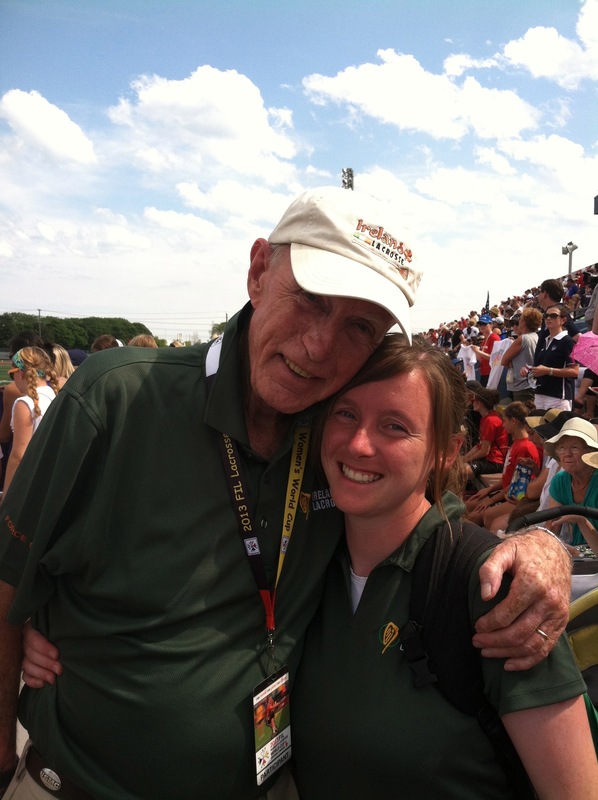 Jimmy dedicated his life to the service of others. 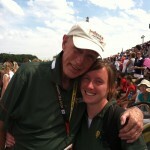 He served in Vietnam as a Sargent in the United States Marine Corps. 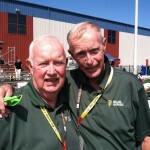 After Vietnam, he became a Trooper in the New York State Police. After an on-duty accident forced him to retire from the NYSP, he opened a tavern in NYC and then a successful insurance agency in New Jersey. All of this, alongside his secondary career as a lacrosse renaissance man. Jimmy was involved at every level of lacrosse officiating over a 35 year career, from youth to international. 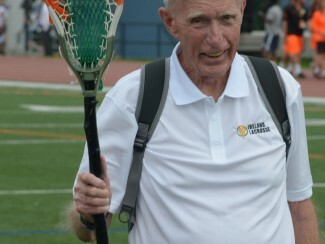 He was inducted into the New Jersey Lacrosse Hall of Fame in 1998. He joined the ranks of Ireland Lacrosse in 2002, and served as Ireland’s head official in the 2002 World Championships in Perth, Australia. 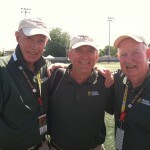 Jimmy was a founding member of the Irish Lacrosse Foundation, an organization that works to promote lacrosse in Ireland. He served as the ILF Treasurer until his death. 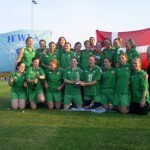 He was instrumental in the revival of the modern Irish Women’s National Team, and acted as the spiritual leader of the Irish Women’s program for many years. 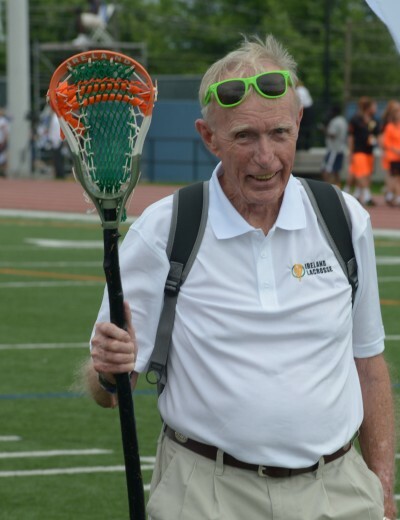 His tireless dedication was recognized by the international community when he was given the “Spirit of Lacrosse” Award at the 2013 World Cup from Latvia Women’s National Team. Jimmy. Always the ladies man. 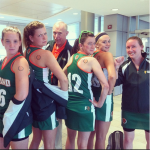 Ireland Lacrosse’s motto is “i dteannta a chéile” meaning “together as one.” No matter what part of the world you live in, you are always part of the Ireland Lacrosse family. Jimmy was the patriarch to that family. He reinvigorated women’s lacrosse in Ireland in 2005 by personally supporting and funding the women’s program. Under his guidance, the women’s team won the 2005 European Newcomer’s tournament. There has always been a special relationship between Jimmy and me, and I personally owe him for his support of the 2005 team since that is how I met my wife! Jimmy embodies the heart and spirit of Ireland Lacrosse. His clear vision for the potential of the women’s program, as well as his dedication and drive to grow the game, helped us get where we are today. Our success is his legacy. 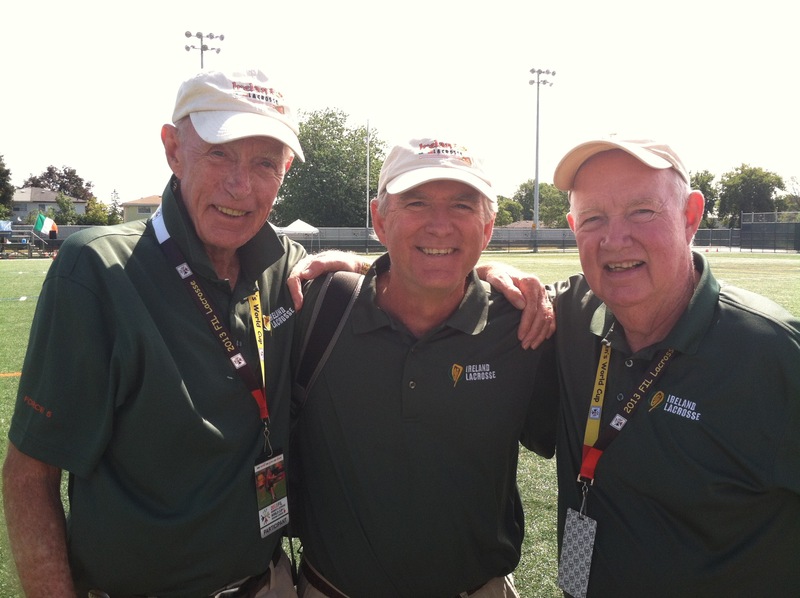 Jimmy was many things: fiercely loyal, funny, authentic, encouraging, passionate, and determined. But above all, he was proud. 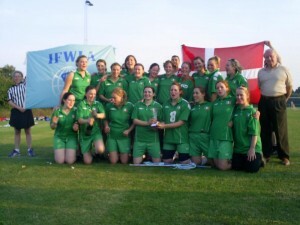 Proud to grow the sport he loved, proud to represent Ireland, and proud to be part of the women’s program. 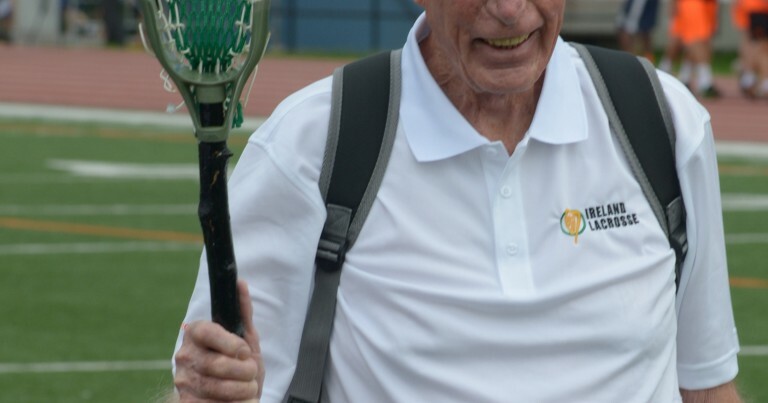 Jimmy was adored by the entire international lacrosse community for his witty jokes, frequent high fives, and captivating stories. 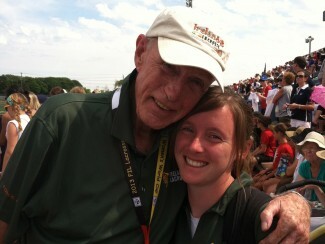 I am grateful that I had the chance to know him, and he will be deeply missed. 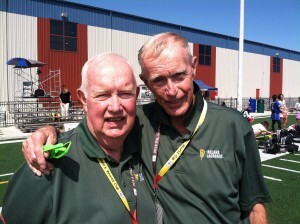 All of us at Ireland Lacrosse echo these sentiments, and will keep our memories of Jimmy near to our hearts. Details of a memorial service will be made available in due course. Please keep the Carroll family in your thoughts during this time. Women’s October Training Sessions Announced!